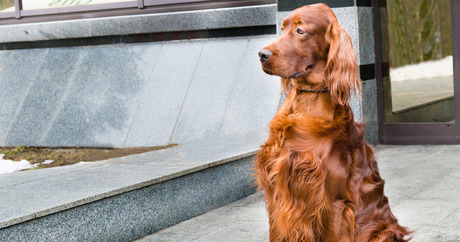 There has been a whirlwind of debate and speculation following the tragic death of an Irish Setter named Jagger, a recent competitor in the prestigious Crufts Dog Show. An autopsy revealed that the three-year-old dog, who placed second in his class, was in fact poisoned. His owners, and other Crufts competitors who claim their dogs have become sick as well, are crying foul play. While the possible murder of this dog via poison is beyond tragic, it is fortunately not something most dog owners have to worry about. There may not be a rival dog competitor trying to poison your dog, but there are things in your home that could wreak havoc on your dog’s body. With National Poison Prevention Week right around the corner (March 15 – 21), there is no better time to educate yourself on toxic dangers to your pup and what to do if your dog has been poisoned. You don’t have to be a rocket scientist to know that you do not do shots with your dog, however, it should be noted that alcohol affects dogs on a much bigger scale than it does their human companions. Even a tiny amount of ethanol can severely intoxicate your dog and lead to fatal consequences. Like humans, K-9 consumption can cause vomiting, loss of coordination, and disorientation, but can quickly escalate to seizures, coma, and death. For humans, garlic is known for its detoxifying properties. For dogs, not so much. If your pup gets into your spice cabinet and laps up something like garlic powder, which is a very concentrated dose of garlic, your dog is at risk of toxicosis. Garlic (and all other members of the onion family) contain compounds that severely damage the dog’s red blood cells. Symptoms such as fatigue and reluctance to move usually set in 3-5 days after ingestion. If your dog is experiencing these symptoms along with a red or orange tinted urine, get them to a vet ASAP. That elephant ear plant may look great in your bay window, but it could prove fatal to your dog. Pica, which is the urge to eat unnatural objects, is actually something quite common in dogs. Plants can fall into this category of aforementioned unnatural objects. Before purchasing houseplants, be sure to check that it is a good fit for both your home and your dog. The exact substance in grapes and raisins that causes toxicity in dogs is still unknown, but what is documented are the fatal cases after ingestion. Some dogs can eat grapes and be fine; others have experienced acute kidney failure that has led to death. It’s always better to be safe than sorry. Although we don’t know how/why some dogs are affected and some aren’t, feeding your pup a few innocent grapes isn’t worth the risk. Foods with a high concentration of fat aren’t considered a “poison” to dogs, but they can still seriously endanger the health of your pup. Scraps of tasty bacon and ham can eventually lead to pancreatitis; a large meal high in fat could lead to acute pancreatitis. Canine pancreatitis is painful and potentially life threatening. Symptoms can be as mild as vomiting and heavy panting, or, in the case of acute pancreatitis, severe weakness and collapse, shock, and death. It should be noted that cat food is often too high in fat for a dog, so be sure to feed your dog actual dog food. If you dog experiences symptoms like: vomiting, diarrhea, hypersalivating, lack of hunger, or nausea; especially after eating a known toxin, talk to your dog’s veterinarian immediately to determine the correct course of action. In the mean time, be sure to poison proof your home for your dogs.